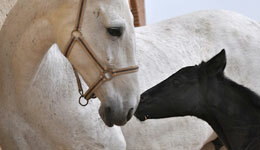 We offer prospective buyers excellence and experience in breeding first-rate foals from the finest horses. As a professional team of horse people; we strive to create a new generation of good and healthy sporting horses that can perform at the highest level. 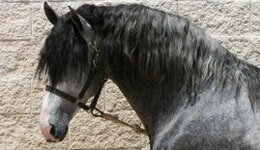 Our breeding program is in the works to strengthen the Pura Raza Espagnola breed with our most successful horses. Through careful selections, we strive to produce foals with the greatest dressage potential. Our ambition is to bring Pura Raza Espagnola's into the spotlight through careful planning. With an eye always on the future, we constantly evaluate our breeding stock and contemplate future breedings. 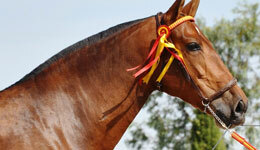 We are pleased to offer a selection of prime horses for sale each year as we usher in each new generation. To this end, we stand behind our sales offerings and enjoy watching the success of sold foals. This website is fictional and part of an educational and simulated game. The animals represented on this site are not real and are not affiliated with any real life breeding programs. Questions and concerns may be addressed to altadoce-info @ delorya.net. Web design © Yeguada Alta Doce 2018. All Rights Reserved.